March 19, 2016: Mark your calendars for NSLA's School Librarians' Day at Mahoney State Park! Speakers include Bruce Arant, Beth Kabes, and more!!! NSLA members can attend free. See flier for details. Be sure to send pictures of events in your library, lessons you give, student creations, bulletin boards or displays, etc. to Courtney to post on our social media sites. We would LOVE to feature every school at least once this school year! Thank you. Bring ideas, documents, and feedback from the Big 6+ Inquiry projects you have worked on thus far to share with everyone. Bring any work you have completed or are working on with your Big 6+ Inquiry workgroups. Check the shared OneDrive document to see what your timeline and projects are for your group. Bestselling author Cassandra Clare is coming to Omaha! Omaha Public Library will be hosting her on Sunday, March 13, 2 PM. Location and details TBA, so stay tuned to omahalibrary.org for more information! Please keep an eye out for further details... they will be posted as soon as we have more information. Meet more than 75 local authors and publishers at OPL's 5th annual Author Fair! Throughout the event, participants will have access to a number of resources for writers, as well as the opportunity to meet authors, buy books and have them signed. Three of these book spinners are up for grabs. Let Courtney know if you are interested and your name will go into a drawing to be held on Tuesday Feb 16. Have you taken the 2016 Reading Challenge? If so, how far have you read? Can you think of how you could use this with students? Could you set goals or challenges each month, during longer school breaks, or for summer reading? Are your teachers or administrators wondering what is appropriate video use in a classroom setting? Check out the guidelines below. The Virginia Frank Memorial Writing contest is held each year in the Spring, to recognize the creative writing talent of our area students. 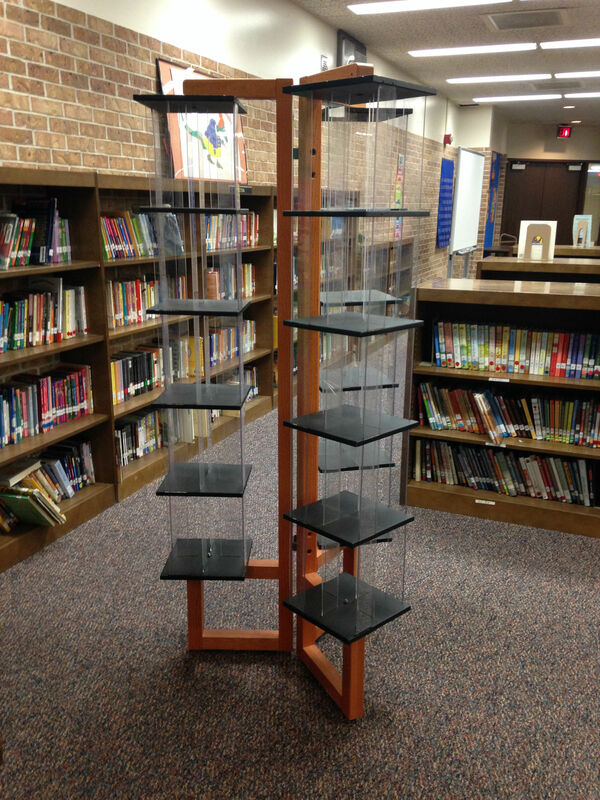 This contest, sponsored by the Friends of Omaha Public Library, recognizes the top three winners from each grade. Each winner receives a cash prize and certificate, is recognized in a ceremony at the library, and has their story published on the library website. The school libraries of each winning student are also recognized with a matching cash prize. Students must be in 5th to 8th Grade, and live in Douglas, Sarpy, Washington, Dodge or Saunders County. Students may be enrolled in public, private, parochial, or home school. Entries must be typed and no longer than 750 words. Entries must include a cover page with the writer's name, address, phone number, name of school/home school, and grade. Entries must be original fiction featuring a character from a book you have enjoyed. Identify the book and author from which your character originated in the title or subtitle of your story. Due to any branch by close of business on March 4 or submitted online. Prizes will be awarded to the top three winners from each grade. The school library of the winning students will be recognized with matching cash prizes. Read the winning stories from the Virginia Frank Memorial Writing Contest. The Virginia Frank Memorial Writing Contest began in 2003 and is named in honor of a longtime Friends of Omaha Public Library volunteer. Virginia Frank was a Central High and UNO graduate. She acquired a master’s degree from Brown University and taught English literature and creative writing at UNO for many years. Her passion for students and young people inspired everyone around her, and her enthusiasm encouraged many students to explore their creative writing talents. Frank volunteered thousands of hours with the Friends of OPL to help ensuring a bright future for our public libraries.